An interactive website acts as an incentive for the users to visit it more often and experience the company’s enjoyable services. Any ecommerce website works well by revising tactics and finding ways to make it interactive. Here some of the tips that can make your ecommerce site more interactive. Using poll is a great way to capture your visitors’ attention. Including polls for your audience is one way you can make your website interactive. With the presence of various poll apps available, you don’t have anything to lose but gain a lot for your site. The polls provide instant feedback and let you know where you actually stand. You can also make polls that lets you know what your audience and customers want or are interested in. There are many ways a poll can be carried out. One such way is to have a survey on customer satisfaction. People take pleasure in giving their feedback about the services and products which act as a best way for online merchant to know how his efforts are paying off. Polls provide a rather light headed information and insight about your site, while surveys help you to find out more information from clients and users. Need not make a survey too long, just enough to know your users’ needs, their thoughts that could be interacted in just the right sense! 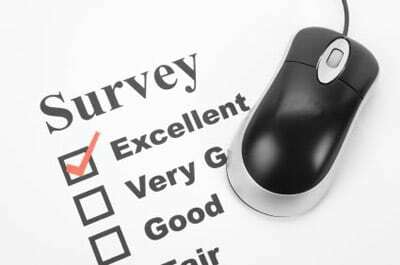 Surveys are the best way to collect viable information through means like emails. Personalization is a new trend in the field of website development. It helps in targeting specific clients in a go and makes their experience even more delightful. Moreover, it provides ease to users in finding what they are looking for. Gifs are graphic interchange format that are used as a light-hearted attraction and make your site look exciting. Which animated GIF you choose solely depends on the type of ecommerce site you have. Make sure, the Gif you use is humorous and does not seem like out of place. You can do seriously amazing stuff with these gif to make your ecommerce website interactive and seek attention. For every ecommerce site, it’s important to have a blog of its own. They provide much needed information to the audience and can be used in best way possible to make your site interactive. Post blog as frequently as you can with the right content which customers can relate to and find connected to it to read it whole. Users get more inclined to use your ecommerce site than your competitors’ when you provide the answers they are searching for and help them whenever needed. How you handle your users’ queries and their needs drives your site forward. One should use ways like live chat to interact with your customers. Send monthly news letter to your users addressing them personally by their name through email. It is the best way to inform them about your new products, offers and any information that user may be looking forward to. Make them know about the latest trends and what’s new to your site and remain in contact with them. ECommerce sites are proven to increase revenue of business by up to 250%! Making it more interactive can lead to even greater sales. If you are interested to make an online store for your business, check out out E-Commerce Solutions service here.